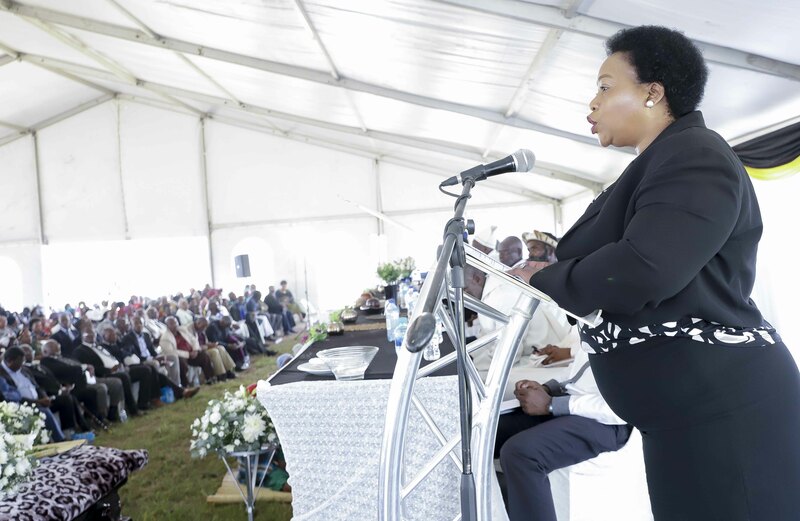 KZN MEC for Cooperative Governance and Traditional Affairs (Cogta) Nomusa Dube-Ncube today joined thousands of mourners from the Ximba traditional community in eNhlungwane to bid farewell to the late Inkosi Magede Placidus Mlaba (68) who passed away following a short illness. MEC Dube-Ncube paid an emotional tribute to Inkosi who was a selfless leader who prioritised the education of his community. “Since taking on the responsibility of being Inkosi in 1974, Inkosi Mlaba prioritised education and the upskilling of young people because he was a visionary who understood the importance of properly equipping them with education so that together they could fight poverty. The many schools that have been built in his community attest to this,” said Dube-Ncube. The passing of Inkosi has left a void in the institution of traditional leadership within the province, as Inkosi Mlaba was a fountain of knowledge whose wisdom benefited the whole institution in KZN and beyond. Delivering the eulogy, MEC Dube-Ncube thanked Inkosi Mlaba for the role he has played in rural development which saw him work closely with the various arms of government to ensure that services are delivered to his community. “As we mourn his passing, we take solace in knowing that Inkosi was an ethical leader who led with distinction and who championed the development of his community,” said Dube-Ncube.